At Fertimix, we stand for innovation. Fertimix offers a broad range of innovative products to meet your fertilizer needs. Whether big or small, all of our custom blended fertilizer projects are executed with precision, in accordance with the highest industry quality standards. You can rely on us to get your job done right. 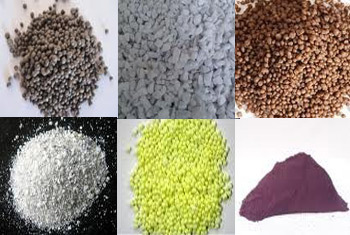 Our custom fertilizers are developed specifically for our clients needs. We use a variety of Nitrogens including Control Released Nitrogen (CRN), Water Soluable Nitrogen (WSN) and Water Insoluable Nitrogen (WIN). Along with Phosphorus, Potassium, and a variety of micro-nutrients like boron, iron, zinc and others. 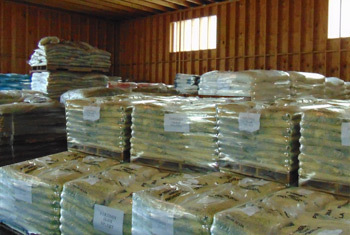 Our own Fertimix branded, registered formula fertilizer products are sold to the public both retail, at our shop in Jordan, MN and wholesale to resellers as Fertimix Professional Turf Formula fertilizers. For those that need their own custom blended fertilizer mixes we can blend exactly to your specifications and provide the finished product in retail packaging or bulk forms. Take a look at our Custom Fertilizer page for more details on how we can blend an exact fertilizer to fit your needs. Whether you're a homeowner, landscaper, grounds keeper or anyone else that requires professional grade fertilizers and turf management products, we are here to help with your fertilizer needs. Individuals, small companies, large corporations or municipalities, we can meet your fertilizer needs. Small quantity retail, large quantity wholesale or bulk orders by the tote or the truck load, we have what you need. Contact Us to see how we can help.